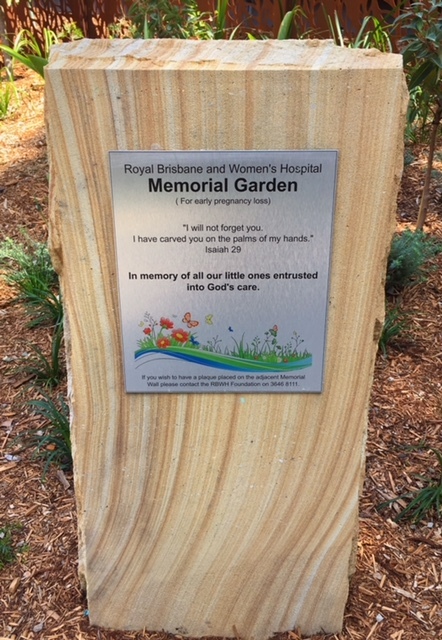 The Memorial Garden Wall at Royal Brisbane and Women’s Hospital (RBWH) was erected as a private place for parents and loved ones of miscarried babies prior to 20 weeks of gestation. These families are welcome to order a small plaque for the wall in remembrance of their loss. Plaques will be ordered and erected on a quarterly basis (February, May, August and November).